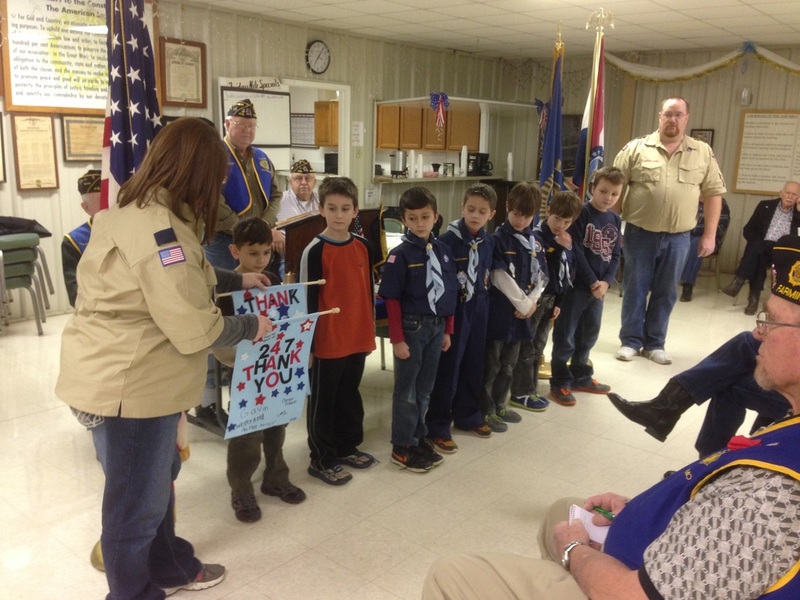 Members of the Cub Scout Pack 247 presented a “Thank You” banner to the members of the American Legion Post 416 here on January 5. The scouts, all third graders, are part of the 37 members of the Cub Scout Pack sponsored by the Legion. Left to right, are Bear Den Leader Kim Herbert , Bear Scouts Logan Guajardo, Gavin Eaton, Wesley Reed, Jacob Borem, Connor Gilbert, Logan Gilbert, Aaron Keller, and Cubmaster Eric Norem, all from Cub Scout Pack 247 which is sponsored and supported by LePere-McCalister Post 416.